﻿ Aluminium honeycomb structures, products & services. Aluminium honeycomb structures, products & services. 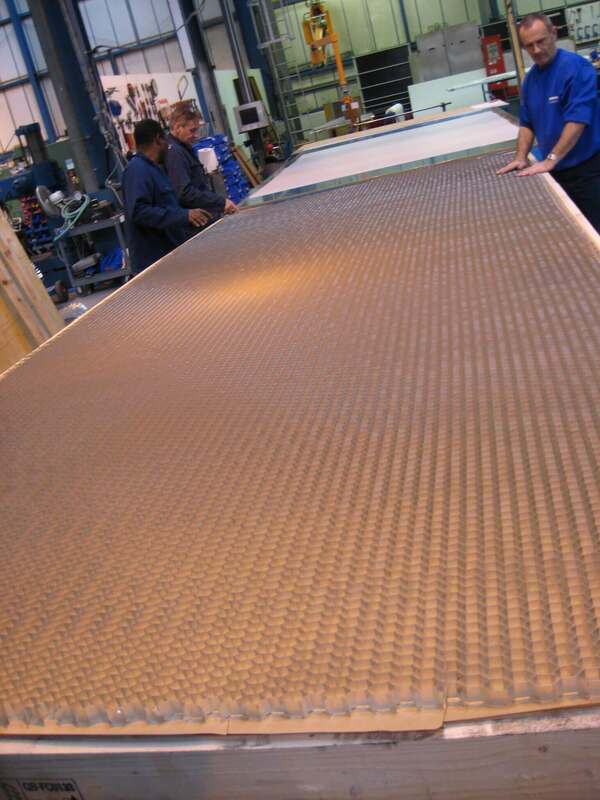 Corex Honeycomb has a range of aluminium honeycomb structures, products & services to offer. Having manufactured aluminium honeycomb since 1995 and having distributed it to industries worldwide, Corex Honeycomb offers a wealth of expertise and a global distribution network. In addition to the standard honeycomb, we offer the following products: ‘SuperFlex’, flexible aluminium honeycomb, and Tubus Waben polypropylene honeycomb. If you need to get hold of a few slices of aluminium honeycomb go to our online ordering service for a quick and easy service. We hold stocks of our most popular cell sizes offering worldwide shipping* and convenient payment options, including Mastercard, Maestro and Visa. Corex Honeycomb produces high quality aluminium honeycomb core in a variety of conditions, tailored to the individual needs of the customer, wherever a high strength-to-weight ratio, energy absorption or directional qualities are required. Aluminium honeycomb is designed to sit in between two skins to create a sandwich panel. In creating distance between these skins and preventing them from moving, huge mechanical advantage is gained in the resulting rigidity with minimal increase in weight. We offer aluminium alloy grades 3003 and 5052, depending on application; full blocks or cut slices; perforated or non-perforated;corrosion treated or untreated; drilled; expanded or unexpanded. There is a range of cell size depending on end use, from a 1.6mm cell size for the most demanding motor sport and aerospace applications to 25.4mm cell size used for less demanding applications like architecture and interior design. Lap Shear, T-Peel, Climbing Drum, Flatwise Tensile. See the Laboratory Accreditation page for more details. We are also certified to AS 9100, the aerospace standard based on the ISO 9001 quality system requirements. *currently unavailable to Iran, Sudan and Syria.